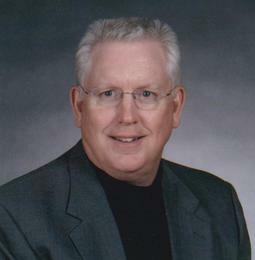 Mike Koehler is originally from Cape Girardeau, Missouri where he got a Bachelor of Science in Industrial Technology from Southeast Missouri State University. While in college he took several art and architecture courses. During many years as a successful manager in manufacturing he continued to work in craft areas as hobbies. 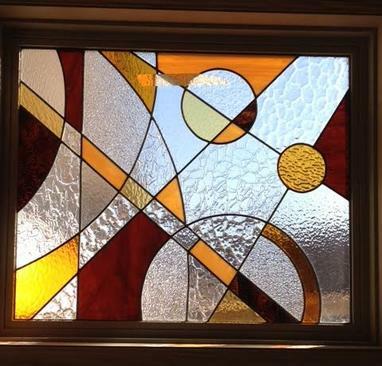 After leaving his manufacturing career he now devotes his time to stained glass. The Sunny Days Glass Art studio was built in 2011 after careful consideration for the best equipment, tools, and layout available. This allowed us to produce a quality stained glass project very efficiently. Our design software gives us the ability to take customer input about style, color, and materials and generate drawings of the proposed finished product. These designs can be reviewed by the customer and final adjustments can be made before construction of the stained glass begins. This prevents "surprises" when the customer sees the final creation. 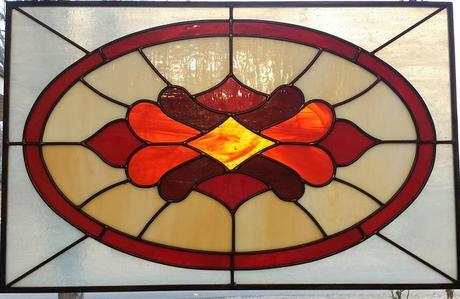 We pride ourselves in our personal service, quality of the finished stained glass product, and making our customers happy. Most glass panels will run between $80 and $100 per square foot. This depends on complexity and design of the project. I believe that you will find this pricing to be very competitive. Oval decorative panel for a window. Quilt pattern panel on the assembly table ready for soldering. Abstract modern design installed in a new house. Installation of a 4 panel window into a small chapel.